Find hotel near Iglesia San Francisco De .. 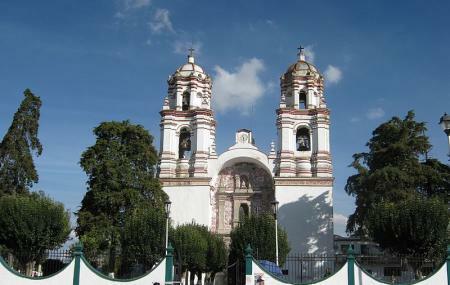 The Iglesia San Francisco De Asis or the Templo de San Francisco de Asís in Guadalaraja comprises of a Catholic Community. Located in the heart of the city, the Templo de San Francisco de Asís was found by the Franciscans in between the years 1668 to 1692 on the former site of the earlier convent church. The church now boasts of the upward spiralling Solomonic columns on the façade. The nave also looks stunning with the retablo built in the Baroque style.